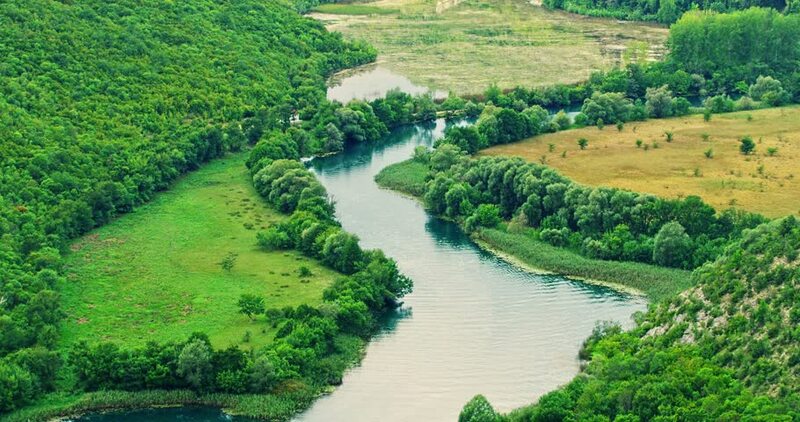 Green meadows by the Krka river flow. 4k00:30Aerial view of tranquil winding river amid lush green landscape, aerial view. 4k00:15Aerial. The river flows into the lake from a bird's-eye view. forest landscape, a small river flows into a blue lake. Beautiful landscape of the lake from a height. summer overcast day, green trees. 4k00:15Aerial survey. Forest landscape with views to a small river. Blue lake with beautiful green trees. Summer cloudy day, forest landscape. A narrow river flows through the field. 4k00:18Green meadows by the Krka river. 4k00:21Aerial shot of small, curvy river. Small river seen from above in spring light. 4k00:50Aerial shot of small, curvy river. Small river seen from above in spring light.